Your goal is straighter teeth and a great smile. Both braces and Invisalign® may be potential treatment options, and you may already be familiar with some of the advantages that the latter option offers. They wear clear, unobtrusive aligners rather than brackets and wires. Invisalign doesn’t have metal surfaces, which can irritate the mouth and lips. Invisalign doesn’t restrict the types of food they can eat. However, there are secondary advantages that you should consider if you’re still uncertain whether Invisalign is right for you. Brushing and flossing your teeth when you wear braces can be challenging. You need to take the time to reach all of the surfaces of your teeth and to thread floss through gaps between braces. As a result, you may not do as thorough a job with flossing, or you may decide to skip flossing altogether on certain days. As an Invisalign dentist, Dr. Q finds that patients have a simpler time with plastic, removable aligners. Taking out the aligners gives you much easier access to your teeth for brushing and flossing. As a result, you may be more consistent in your oral hygiene. This point is true of both braces and Invisalign. Using one of these treatment options to align your teeth can improve your long-term oral health. When teeth are angled or out of alignment, you expose them to greater wear-and-tear, and your mouth is more likely to trap food and develop bacteria. This can lead to cavities, tooth damage, and tooth decay. Wearing braces and Invisalign can not only make your smile nicer but keep it from problems in the future. 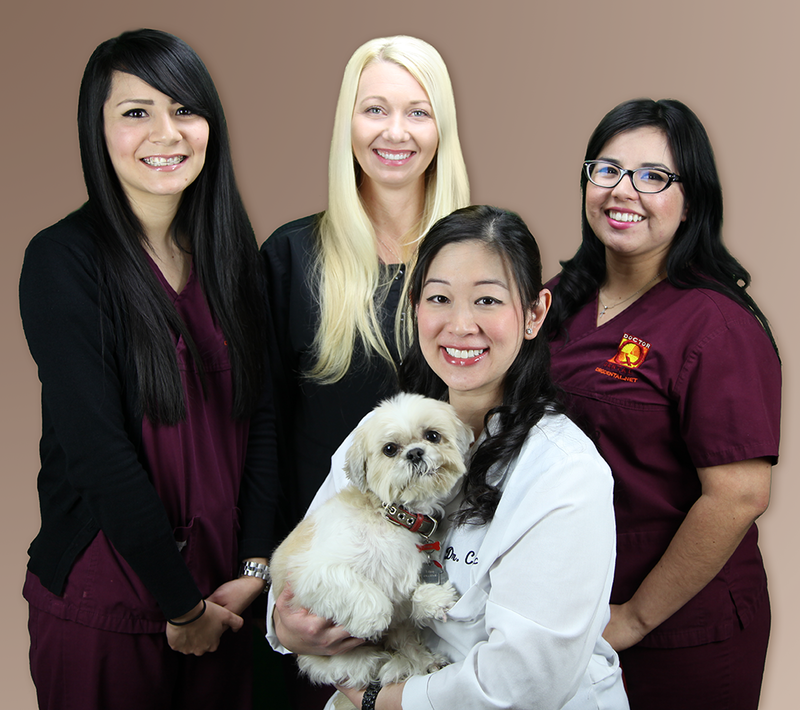 We love having you visit our dental office! However, we want to make your appointment as comfortable and pain-free as possible, and a lot of that depends on taking good care of your mouth between visits. Dr. Q recommends Invisalign as a dentist because it can help promote straighter development of teeth and keep teeth from crowding or contacting one another incorrectly. Reducing problems such as bacteria development, gum disease, and other periodontal concerns keeps your dental visits focused on routine measures like cleanings and checking for cavity and helps you avoid more involved procedures. Talk with Dr. Q about Invisalign for you or your kids. Schedule your appointment by calling (626) 599-9818.